“Transition Towns in Japan identify themselves with the initials “TT”, which also stand for the Japanese words tanoshiku and tsunagaru, meaning “having fun” and “networking”. True to these words, people involved in Transition Fujino work towards transition while making it a point to enjoy life and avoid overworking. A resilient, secure and happy way of life is reinforced by the warm connections between local people that are nurtured by the Transition Town movement”. A beautiful article, and well worth the read. It was, in effect, an update to a piece that appeared on the same site last year which asked Rebuilding after the tsunami: eco- or transition towns? In Australia, TT-Guildford has created a Hearts & Minds group as a mutual support and encouragement to all Transitioners as they face personal and community challenges. 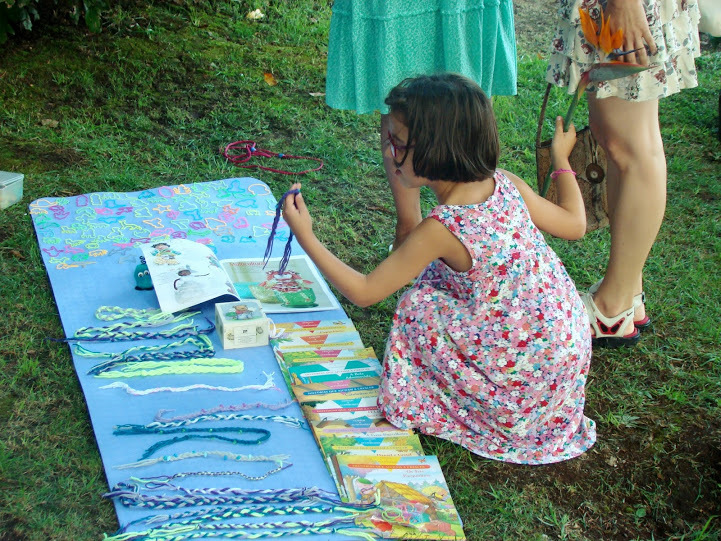 They also showed the Bag it movie and taught people how to make their own bags. “Saturday, 27 Oct. 2012, was the zero hour for the Transition movement in the French speaking part of Belgium. The town of La Louvière, 55km South-West of Brussels was the location for the first regional gathering of transition initiatives from Wallonia and Brussels. Under the title “Conviviale 1.0” 80 participants (including 15 children) gathered. 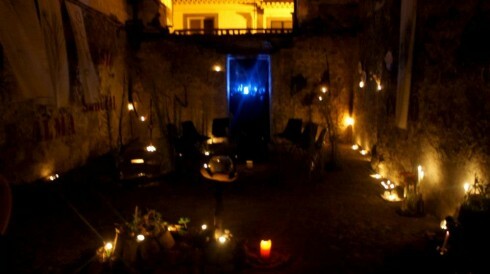 For many of them it was the very first time experiencing transition outside their local groups and a first contact to techniques such as visioning and open space. But it feels like the Conviviale-day was a huge step forward for the local groups. Belgium is not a huge country with its 10m inhabitants but as it is composed of three linguistic communities (a Dutch speaking slice in the North, a French speaking one in the South and a smaller German speaking one in the East) some things take slightly longer to emerge. Whereas in Flanders (Dutch speaking) the first initiatives emerged in 2008 and the Flanders regional hub counts as of today 60+ initiatives and mullers. In the Wallonian part the first initiatives emerged in 2010. But transition got a real boost since the French translation of the Transition Handbook was published in the last months of 2010, then with Rob’s visit in Brussels in November last year and a tour of the film maker Nils Aguilar with his film “Voices of Transition” across Wallonia. Currently, 22 francophone initiatives and mullers are listed. The Wallonia-Brussels hub is currently a loose group of 8-10 persons from across the county aiming to share knowledge and to encourage to exchange of experience: Two weeks ago the website of the Wallonian hub was inaugurated, different workshops are scheduled for the coming two months – on Open Space, website building, speaking in public about Transition and a Transition Launch training with trainers from France (places are still available for all of them). Still in Canada, at the latest TT-Comox Valley (BC) meeting, there was an opportunity to learn about Earthship construction. “Cloughjordan, the winner of Ireland’s national Green Community award and the second best Village to live in, according to the Irish Times, makes for a perfect environment to experiment with community resilience initiatives. Due to its high level of community spirit car-pooling, tool sharing, a bread club and food exchanges already exist and more collaborative enterprises are popping up. 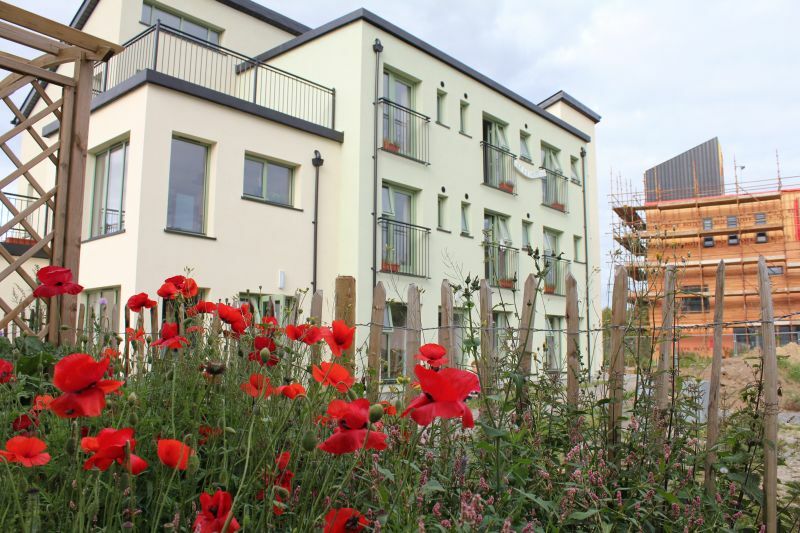 The Ecovillage project has played a large part in the recent regeneration of the midlands town of Cloughjordan, is about to become Ireland’s latest official Transition initiatives. 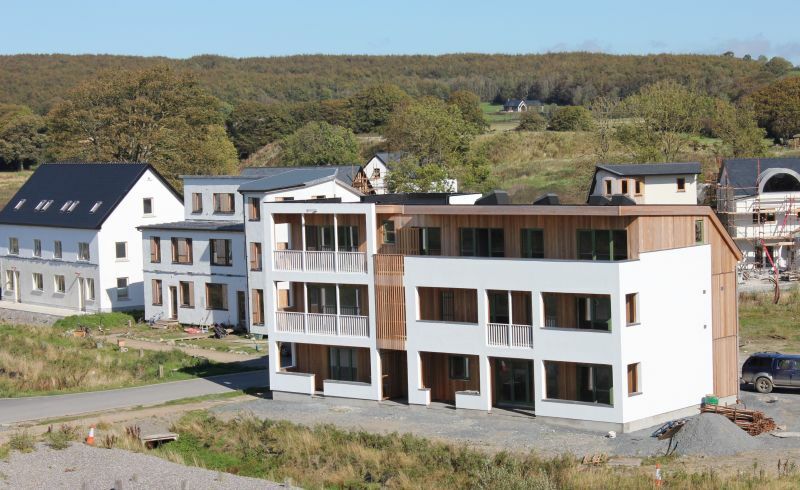 It includes 22 acres of residential development of high performance houses within a 67 acre site that has land designated for food growing, community woodlands, a district heating system fuelled by woodchip and a large array of solar collectors, as well as its own in-house IT company and internet provider. 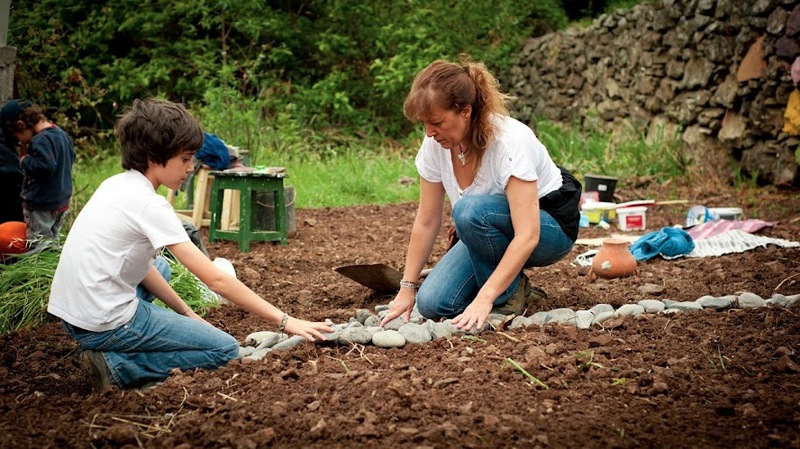 It has spawned the Cloughjordan Community Farm, a wholefoods buyers club, and has contributed to the spirit of active citizenship seen in the town. A number of national businesses and organisations are now based here, including Cultivate, FEASTA, Go-Car Car-sharing and Local Switch. The new Cloughjordan Wood-Fired Bakery just won several awards for excellence and there is a burgeoning community of artists and craftspeople. The Cloughjordan Community Farm is the local (CSA) Community Supported Agriculture project that now has over 60 member households. By sharing the cost of farm production with others, members can share the yield of the farm. This is an excellent way to secure a supply of healthy and locally grown food. 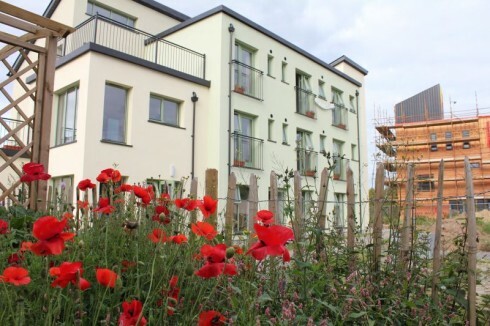 The development of a co-housing project is also underway, which will be a model of low debt housing where people will have their own living space but will share common rooms and amenities. Transition Venice in Italy is working with the council to create Venice Food Park – “a living classroom where residents could learn what can be grown here and where charities could benefit from the local harvesting of fruits, herbs and other crops.” Transition Bologna are using John Croft’s ‘Dragon Dreaming’ approach to raise €1,000 for projects. Next to Portugal and to Madeira Island (just the sound of it I feel all kind of warm and parrots flying in the trees type thing). So here is a report from there, giving an overview of all things Transition underway on the island. When we started the Madeira Transition Group circa seven months ago (April 2012), none of us had a deep knowledge about the Transition movement. 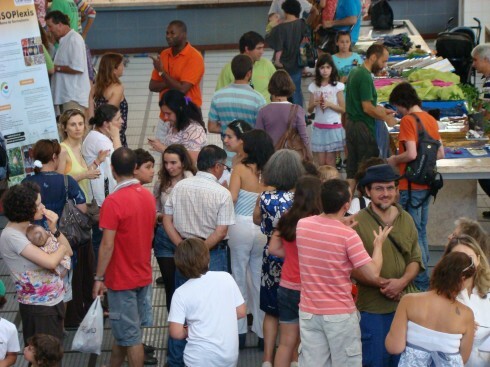 One of our members was at a national conference ‘The (R) Evolution of Portugal’ where she got three important ideas about the Transition movement: Transition initiatives were something about people coming together to improve their communities. 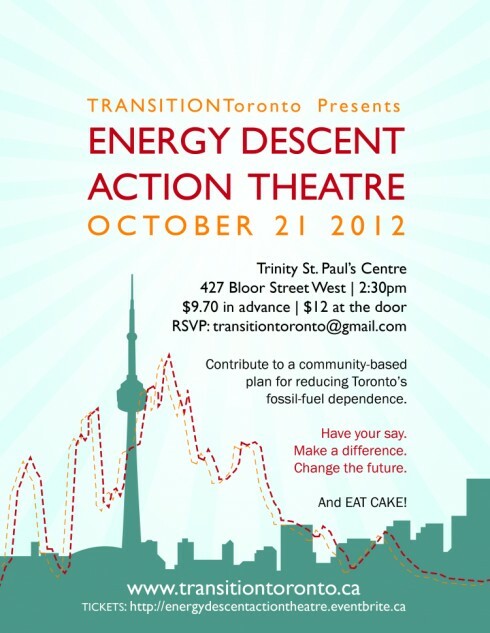 The Transition movement was related with climate change and peak oil (whatever that means). And very, very important: it was necessary to celebrate often! More than 30 people attended our first open space meeting and several ideas were launched. Initially we focused our efforts in the organization of a monthly barter fair without money and in a workshop of European folk dance. Two months after our premiere open space meeting, we had the first monthly barter fair where more than 100 local people brought seeds, plants, books, toys, etc. to swap with each other, without money (see above). There were participants that exchanged fruit by a ride car, sunflower seeds by a bag, food by massages, Portuguese lessons by English lessons, etc., etc. Children were the most enthusiastic participants making several exchanges with their toys, games, books, handmade objects, etc. After 4 barter fair, the message of sharing and re-reusing was spread in local newspaper and media as an alternative to Euro crisis (!). This project was developed under the framework of the national project ‘Believe’ by Andresa Salguero, in collaboration with different institutions (Town Hall, Madeira University, Time bank, etc.). Simultaneously we organized for the first time in Madeira Island a whole day workshop of European Folk Dance as we understood it was very important to celebrate often in Transition movement. Dancing in group, sometimes in circles created a special and unique team environment. The group was so enthusiastic that we were talking about having weekly meetings to practice only European Folk Dance! (What a photo!) Although we did not had these European Folk Dance meetings on a regular basis, this enthusiasm was definitely important to start another projects. Indeed, immediately we started the monthly Permablitz events and a monthly film night. Already in the 4th edition, the Permablitz events have been very successful in spreading permaculture principles and the community spirit. For about 4 hours per edition, 20 people get together, always in different places (particular houses), to make aromatic plants spirals, raised beds, composts, etc. The purpose of the monthly film night was to promote a consciousness awakening in the community and to bring together like-mind people willing to participate in the group’s activities. It started in July 2012, in “Espaço 116”, an old building, in the old part of town, recovered by local citizenship (artists, writers, etc.) to promote cultural activities. The house was full in all the 3 sessions (40 to 60 people), and most stayed for the afterwards open-discussion gathering. 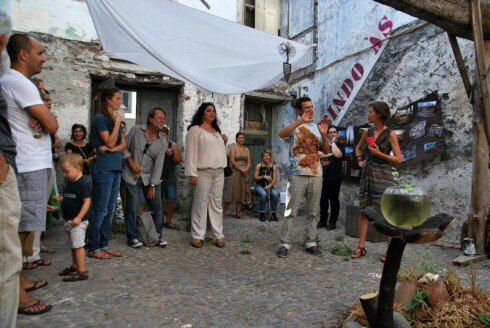 After the film “Les Glaneurs et la Glaneuse – Agnès Varda” took shape the idea of “Reconnection”, which became an art exhibition during the entire month of September. 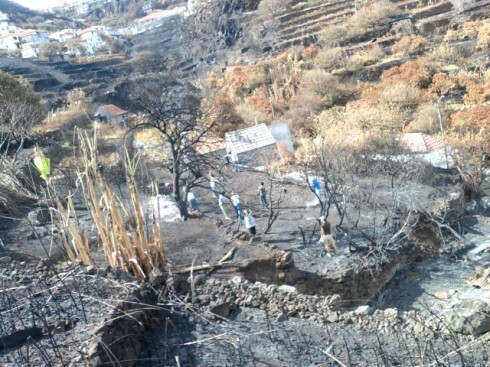 Simultaneously we got involved in the recuperation of areas affected by the big fires of summer 2012. During several weekends we cleaned and recovered agricultural areas/gardens using some principles of permaculture (see below). Moreover, we also helped to recover some houses partially destroyed by the fires. The local community was also involved in this project and after some time we observed a subtle feeling of cooperation and support among the people affected by the fires. 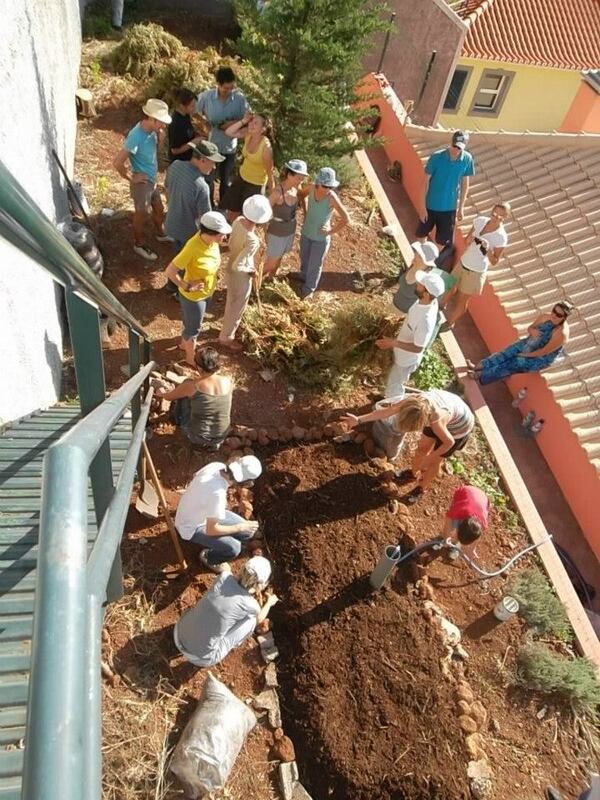 As this ‘feeling of community’ is growing in a particular area affected by the fires (Travessa do Ribeiro Francês, Santa Cruz) we decided to take this project to another level – we are planning to make a community trees/ aromatic plants vivarium to reforest the areas affected by the fires and a ‘sharing common land’. Currently, we are cleaning the water tank that will feed the vivarium/ ‘sharing land area’. This photo shows cleaning and recovery of agricultural areas affected by the fires of summer 2012. In this particular area, the volunteers cut the branches tree, made level curves to control de erosion and then covered it with organic material (fern). Finally, we are starting our food cooperative with the purpose to link directly the consumer with the local producers. Some of us produce our own food and in a first stage we hope to exchange/buy easily high quality biological products at reasonable prices among us. After six months of our first open space meeting, we finally exhibited the movie ‘In Transition 2.0’ in our film nights. We finally understood what transition movement is all about. It was a historical moment! For the first time, for all the members of Madeira Transition Core Group it was clear the importance of establishing small groups within the group and also attend some training about transition movement. Currently, we have the following active groups: 1) Night Films, 2) Food Cooperative, 3) Traditional Dance Folk, 4) Barter Fair, 5) Permablitz, 6) Community trees/aromatic plants vivarium, 7) Core group. During next year we are planning to organize training on Transition Movement on Madeira Island. You can follow developments in Madeira on their blog, or contact them directly at transicaomadeira@gmail.com. There was also a big piece in El Mundo recently about Transition, which you can download as a pdf here. From Germany, here is a short film about Transition Town Hanover which teaches us little other than that Transition Town Hannover like sticking pictures onto walls. Well, can you honestly say that you knew that before? To the UK now, and Transition Network were celebrating last week a report by the University of East Anglia, the first survey of community energy in the UK, which identified Transition Network as the most influential and best networked organisation in the field of community energy! You can read more about it here. “My interview on Ox105fm radio from last Sunday is available as a podcast (see below), a good opportunity to show case what your group is doing”. “Congratulations to all @ SEA! Saltash alongside Looe has won the “Caradon in Bloom” award and your Veg in Beds featured as a highly recommended. I would like to thank you personally on all the hard work SEA has put into making this project a success. A formal letter of congratulations will be coming from the Town Council in the near future. Keep up the good work. TT-Lewes held an Octfeast this month, and TT Bridport held a Draught Busters workshop. The Remakery is one of the latest projects to come out of TT-Brixton. 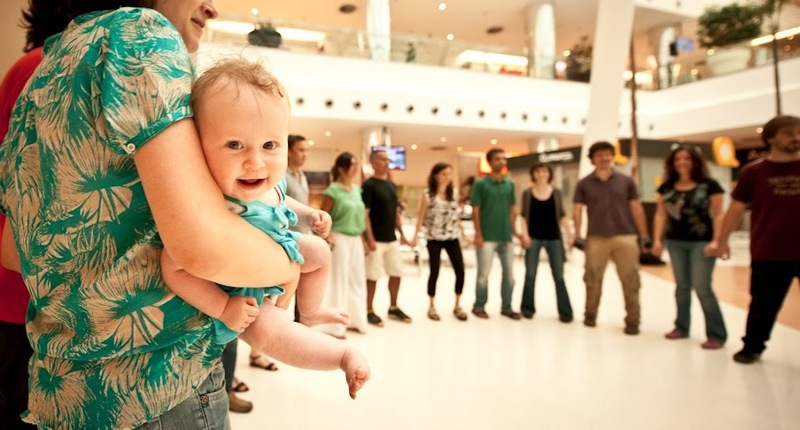 Read more about this fantastic project which hopes to be up and running by Spring 2013. 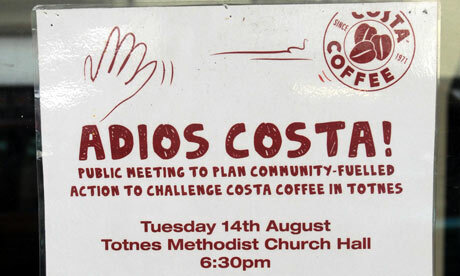 Transition Town Totnes were also celebrating their extraordinary achievement in Costa deciding not to open in the town in spite of being granted planning permission, due to the No To Costa campaign, which TTT was one of the active members of. The news emerged late last week, and became national news. It featured in The Daily Express, the Telegraph, The Guardian, the BBC, The Huffington Post, The Independent, Metro, The Sun, The Times, The Mirror, and many more. For several hours it was the most read story on the BBC’s news page. You can read a blog on Transition Culture about it here. T-Bournemouth joined up with Down to Earth Bushcraft and went on a wild food walk in Studland. TT Clitheroe showed In Transition 2.0 which was followed by an update/discussion about the local Whalley Hydro Project and Forest Garden. TT Taunton worked the ‘Somerset Wildlife Trust’ to hold a beside the tone project where the community could try homemade apple juice from local apple trees and many other activities for all ages. TT Harborough hosted its second annual Apple Day using its own apple press and the community being able to sample the delicious end product. TT Marborough hosted its first community sale with 60 stalls and the emphasis on the sale was designed to “make people think twice about throwing away items which may still have some use.” Transition Town West Kirby have been out foraging for razor clams. To the US now, and we’ll start with a very topical piece from Transition Voice on 10 low-tech responses to storms and emergencies in light of Storm Sandy which hit the US earlier this week. 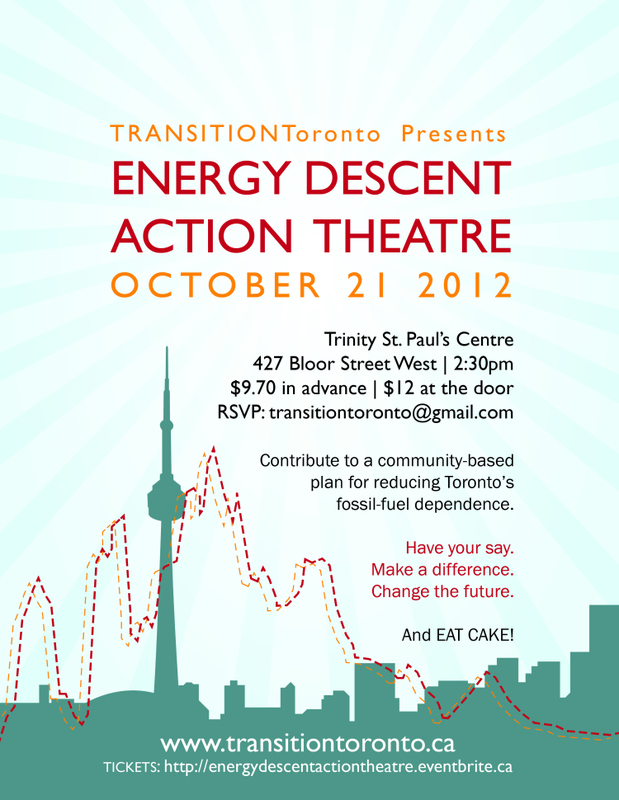 Also, direct from Transition US, here is their October monthly roundup. Transition Town Ypsilanti (MI) featured the documentary Ingredients (A Seasonal Exploration of the Local Food Movement) in a collaborative effort with Ypsilanti Co-op and Growing Hope. TT-Charlotte (NC) screened In Transition 2.0 in the lead up to Celebrate Charlotte, a town party planned for November ..
T-Canterbury (NH) is one of several community groups that play an active role in the towns Old Ways Days. 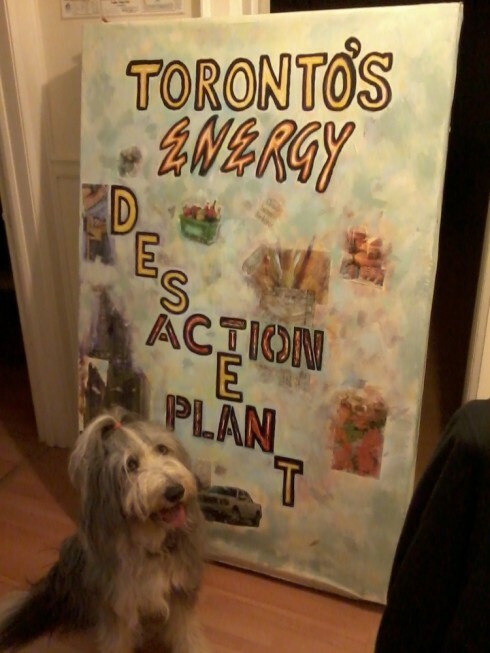 TT-Payson (AZ) looks in to coal’s role in this piece titled peak-coal and climate change. Naresh Giangrande wrote recently about his trip to Chicago and about Transition developments underway there. Many thanks to Oscar Thynne, a school student who spent his work experience placement here in the TN office last week and contributed to this month’s roundup – thanks Oscar!